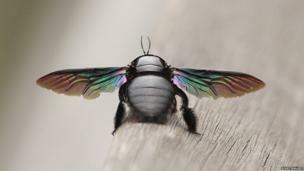 Readers' photos on the theme of "insects". Each week, we publish a gallery of readers' pictures on a set theme. 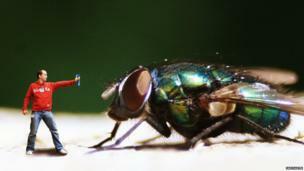 This week it is "insects", and we begin with this picture taken by Zaev Suskin in South Africa. 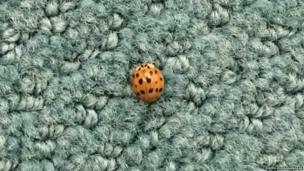 Joseph Kombarakkaran: "Bug in the office. 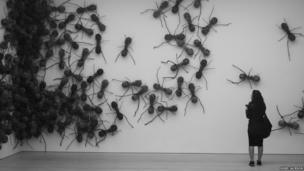 I spotted this bug while we were reviewing the bugs in one of the applications,"
Nigel Jackson: "An exhibit by Colombian artist Rafael Gomezbarros at the Saatchi Gallery, London." 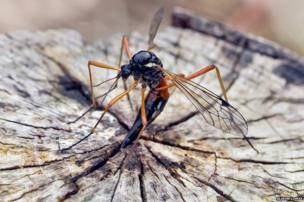 Alison Lomax: "Wood-boring Crane Fly laying eggs in old tree stump." Nigel Walker: "I spotted this formidable looking chap on a handrail in Singapore." 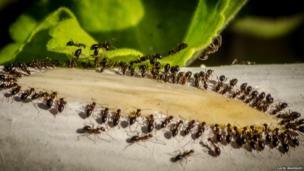 David Bradbury: "I put a small amount of honey on a white stone on holiday in Greece and waited - the ants formed a perfect row with no jostling and were all extremely polite." 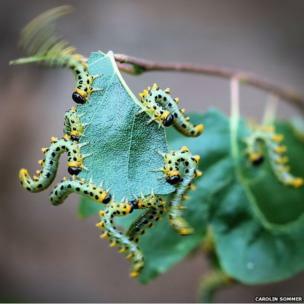 Carolin Sommer: "I believe these are Birch Sawfly caterpillars - they were devouring the leaves on a young birch in my garden this summer, and every time a shadow passed over them (eg my hand), they flicked their tails in the air. 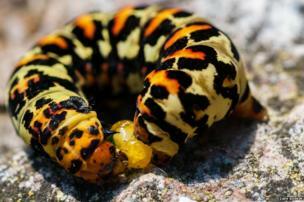 They are beautiful, but I didn't like them eating my tree." 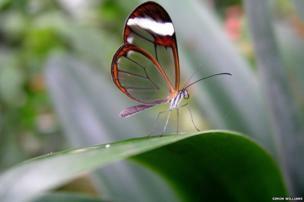 Simon Williams: "This exotic butterfly was captured at Longleat." 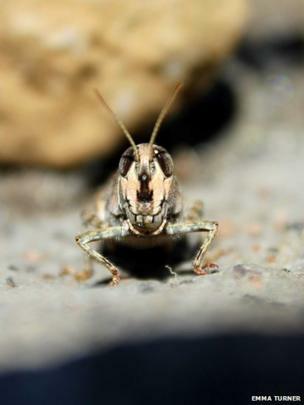 And finally, a photograph by Emma Turner of a grasshopper taken in Valley Of The Nuns, Madeira. The next theme is 'On the Shelf', and the deadline for your entries is 2 December. If you would like to enter, send your pictures to yourpics@bbc.co.uk. Further details and terms can be found by following the link below this gallery.